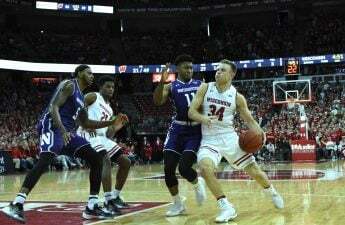 The University of Wisconsin Men’s basketball team (15-6, 7-3 Big Ten) bared the cold temperatures to travel to Lincoln and beat the Nebraska Cornhuskers (13-8, 3-7 Big Ten) Tuesday night with a score of 62-51. The win gave the Badgers their fourth straight win — sparked by the upset over Michigan — after losing three out of four to start the new year. Wisconsin came in shooting lights out, building a 21–7 lead after a 14–0 run in the middle of the first half. The Cornhuskers, on the other hand, couldn’t get any buckets to fall past a nearly impenetrable Badger defense. The Cornhuskers progressively got better at the end of the half. Their switching defense from a 1-3-1 zone back to a man-to-man defense caused trouble for the Badger offense. The 1-3-1 zone took away the pick-and-roll option that Wisconsin runs through Ethan Happ and forced the Badgers to take low percentage shots late in the shot clock for a lot of possessions during the Nebraska run. Nebraska also found their rhythm offensively with Isaiah Roby leading the way. 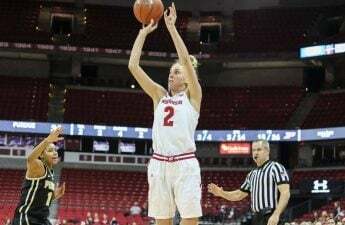 They closed in on an early Badger lead — capitalizing on rare Wisconsin turnovers and offensive rebounds — to a 28–21 score at the end of the half. Nebraska’s momentum carried over into the second half, as they tied the game up at 32 with just under 16 minutes left to play in the game, before eventually taking a lead away from the Badgers. Wisconsin, trailing 40–37, started a surge after several of the Cornhusker’s starters got into foul trouble. After an 18-4 run, the Badgers led 55–44, a lead they would not relinquish again. Nebraska was held to just two field goals in the final eight minutes, finishing the game with a 28 percent team field goal percentage, including 20 percent from three. Happ was quiet most of the night — compared to his triple-double over Northwestern earlier in the week. Happ finished with 10 points and nine rebounds. Brad Davison scored 13 points — 10 in the second half as part of the late game run to seal it for the Badgers — while Nate Reuvers added 10 of his own. Wisconsin, despite winning by double digits for the fourth consecutive game, was out-rebounded by Nebraska, 45-37. They also finished with a dismal 45 percent free throw percentage, including 0-3 from Happ, who is now 1-8 on free throws in his last two games. During their win streak, Wisconsin has had a different leading scorer in each game. Happ lead the way versus Michigan, Reuvers at Illinois, Trice versus Northwestern, and Davison at Nebraska. 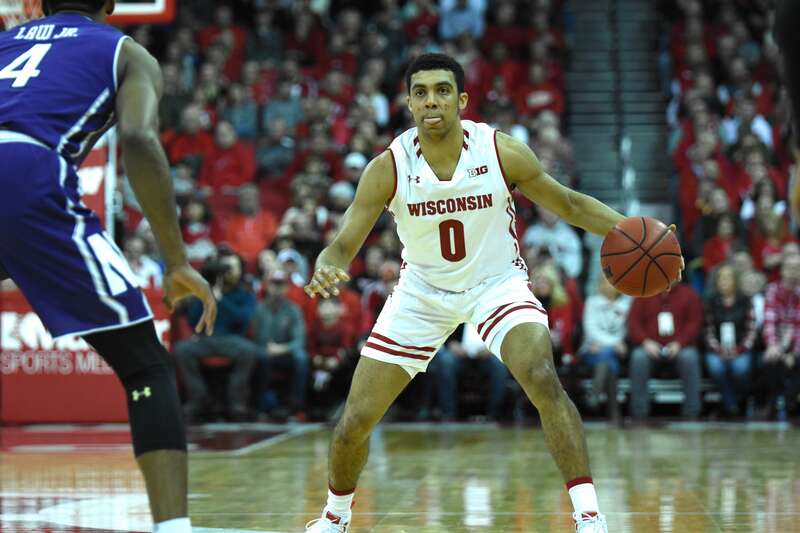 Wisconsin will look to build on this depth in their upcoming contests as offensive consistency — something Head Coach Greg Gard has been searching for all season. For the Cornhuskers, Roby had 18 points and nine rebounds. James Palmer and Thomas Allen added 14 and 10 points, respectively. It was clear that the Cornhuskers missed their second-leading scorer, Isaac Copeland, as Nebraska’s 51 points in the loss were a season low. Looking ahead, Wisconsin will be taking on the Maryland Terrapins Friday night at the Kohl Center. The Badgers lost to Maryland earlier in January 64–60, coming back from down 18 at the half to narrowly losing on the road. The game is a white-out for the Badger fans, fitting for the recent weather here in Madison. Tipoff is at 8 p.m., and the game will be televised on FS1 and broadcast via radio on the Badger Radio Network, 100.9.